This piece is an exploration of how three dimensional design influences quilt design. Parametric Landscape was created using a parametric design approach in Processing. 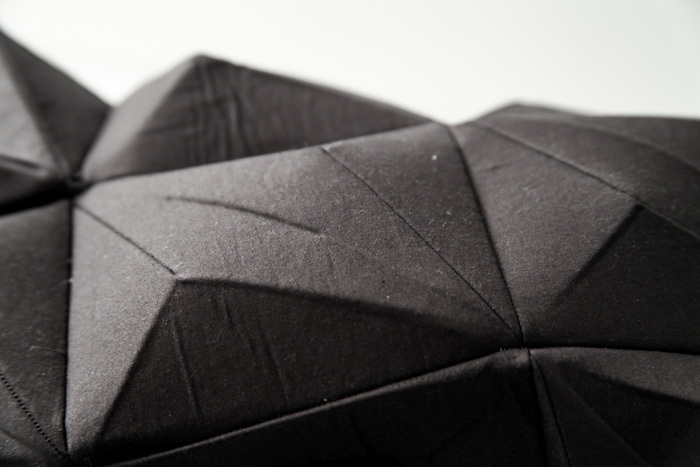 The shapes are defined at random and patternized using paper-folding software. The different parts were assembled by hand with double-sided interfacing set in between pieces of cotton fabric.